February: the month of LOVE and surely there are plenty of stories which cover the “traditional” love story. Our worldly stories, however, teach us so much more about love than just that. This month we will explore five love stories, each from a different country and each with their own unique message about what it means to love and be loved in return. This week’s stories are about finding Love Where You Least Expect It. 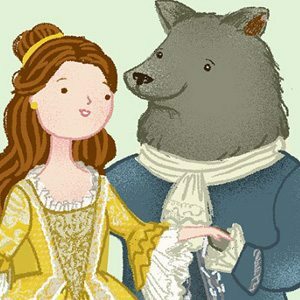 A story from France, this European Folk Tale is a wonderful tale of love that builds from friendship. Much like Disney’s version, but with some differences, there is also a secondary plot about three very different sisters, Beauty being the youngest, most humble, and the one to put the love for her father above her own wants and needs. She willingly goes to take his place and live with the Beast, whilst her older sisters only care about their selfish ways, getting their riches back and finding husbands who will “suit” them. An exploration of love in many forms, this tale analyzes love between a father and daughter as well as love that comes from truly learning to value another for their heart and not their appearance, for "true love comes from within". Beauty finds “Love Where She Least Expects It”, a love grown from friendship and true admiration for ones’ best qualities.